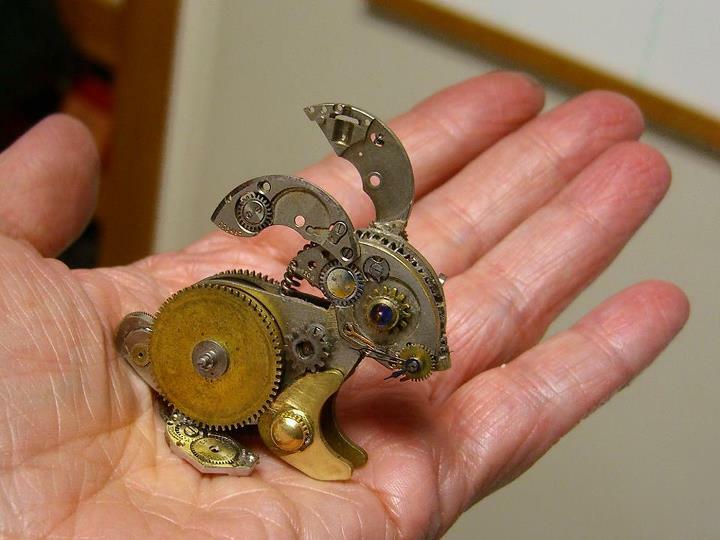 From the same artist who made that intricate carasoul horse from watch parts...STEAM BUNNY! I've never wanted to snuggle a metal bunny so much in my entire life. Squee! Absolutely astounding. I can't even begin to imagine how she does this! (And am I the only one who first thought, "Aslan!"?) Check out All Natural Arts' FB page for more of Susan's work. And thanks for the link, Sandra M.! 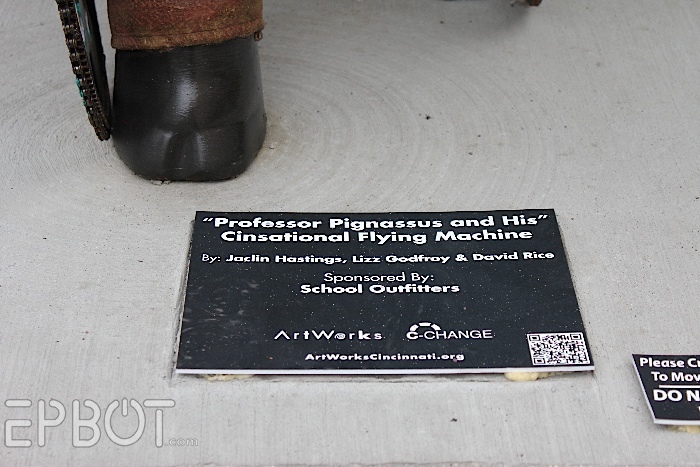 Well, more accurately, it's "Professor Pignassus & his Cinsational Flying Machine." See? Hit the link up there for more pics and links to each. 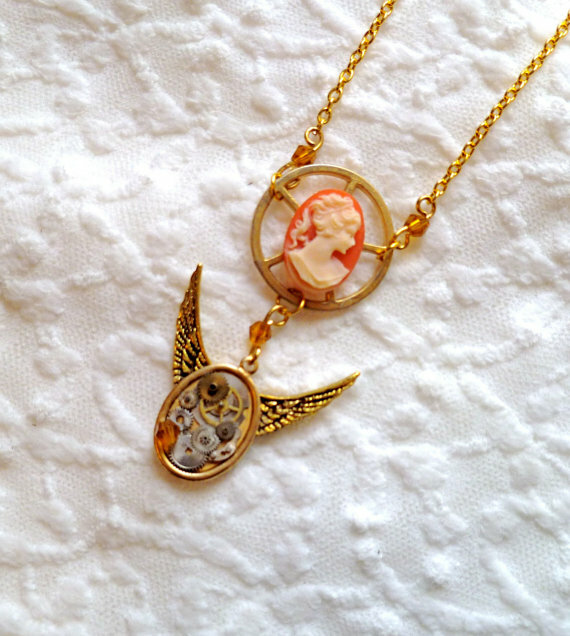 It's been sold already, sadly, but hit the link up there to see a few more nifty creations. 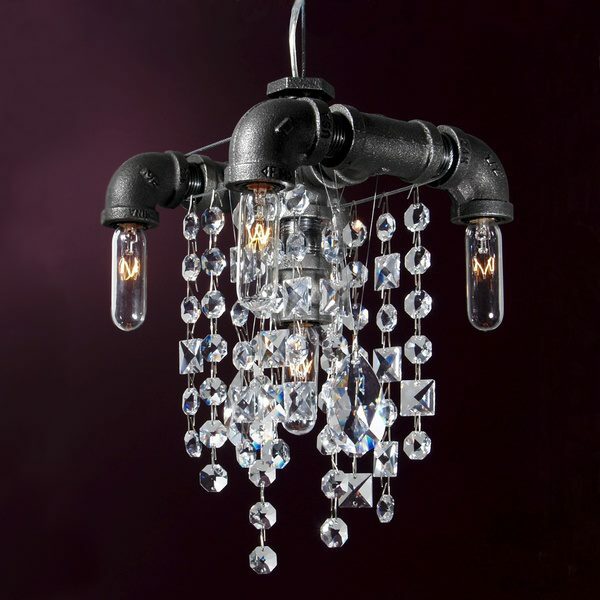 Amber K. spotted this over on the Arhaus website, and it can be yours for only $800! And finally, are you ready for some EPIC Epbot epic-ness?? Da da da DAAAA! Da da da da da DAAAH! Hilary P. surprised us with this awesomeness the other week, and I seriously can't get over how many details from our costumes she included. From the chains on my glove to each key on my necklace - and look at our ray guns! So perfect! Hope you're having a fantastical weekend, everyone! And as always, if you have something steamy to share, hit me up on FB, Twitter, of via e-mail! Now I want to read The Adventures of Team Epbot. Naturally their pilot is the Epbot Robot and their ship is called The Epbot right? They must fight the evil Duke Herrington the Red, who has hired a merc group that fly on a ship named Mainstream. You know, when I saw that table, the mechanism just screams "camera tripod". Just take off the folding crank and add your own crank wheel. Maybe something like this one on ebay? 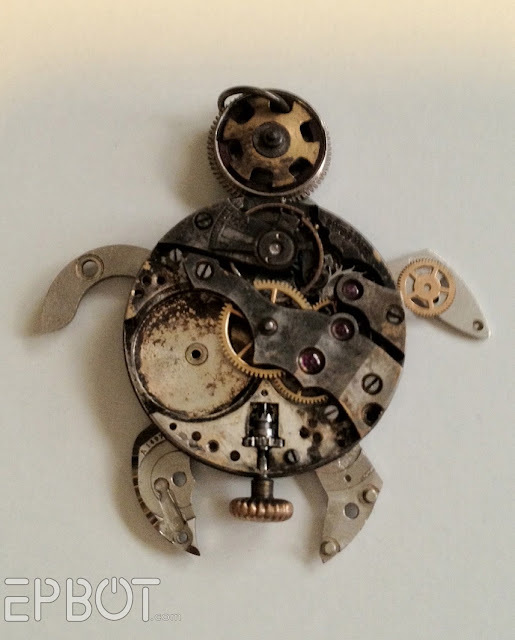 Totally love all the cute Steampunk animals. 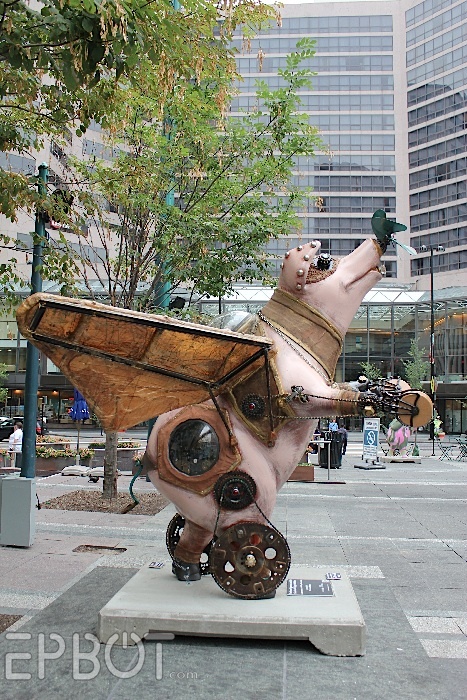 The initial for the Steampunk Pig is F. not S.
When I saw the crank table, my first thought was that the base and the screw up the middle looked just like an old piano stool. The kind that I used to love when I was a kid because you sit on it and SPIN AND SPIN AND SPIN and you go up and up... and then you spin the other way and go back down. They don't have the crank wheel, so I don't know if that could be added. I'm not very inventive like that. I have a wooden piano stool I got for $12 at an auction once. 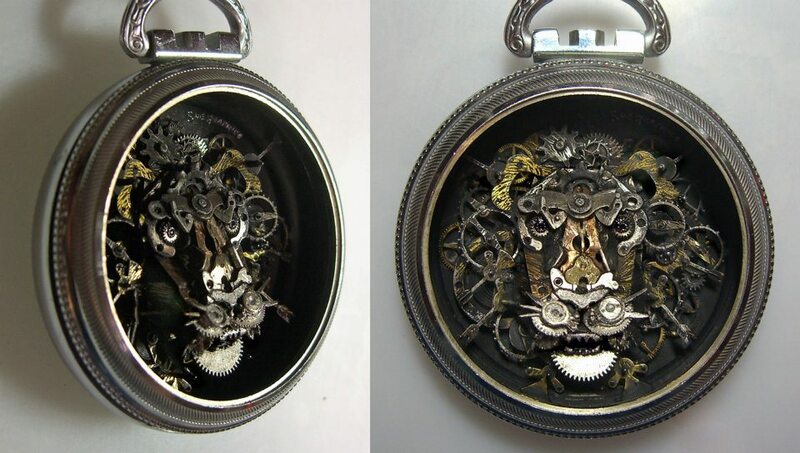 Jen, try a search on eBay using "Steampunk." Tons of stuff will surface, hopefully just the materials you need to make a table. Good luck! I just love this site. Thank you, thank you, thank you Jen and John. Could you make a table like that from an old piano stool? The kind that the seat twists up? That base reminds me of a of a car jack, or a piano bench. I can totally see how one could DIY. If you can find stool parts and a crank handle, the rack and pinion (gears) shouldn't actually be hard to acquire. Just look at somewhere that sells hardware or machinary parts, for example, McMaster-Carr. With some modification I could imagine using an industrial can opener. Obviously some more work would be needed, but I think it would handle the load.. Some of the older drill presses with built-in stands have a similar crank mechanism to that table; you could probably find one with a busted motor for much less than $800. You had me at "rump porthole." I thought of you today as I went through the craft barn at our farmers' market. 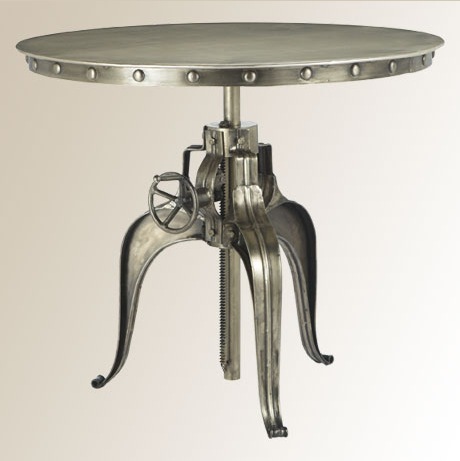 There were side tables made from giant gears; one of them had a circular saw blade as a tabletop. And then I came and saw your post! Unfortunately I didn't have a camera, and didn't have time to shoulder through the crowd to see how much they cost, AND I'm in North Carolina...but maybe there are some other sources for mechanical tables out there? I got a very similar table in (oddly enough) Cincinnati for my dinette. Considering I'm single, it works perfectly for me. I got it from a store called Home Emporium, which carries all kinds of odd and unusual furniture. A quick search online doesn't come up with a website, drat. Mine has a cast iron base, with a rack and pinion gear to raise and lower the table. But it doesn't have that cool detail around the table top. Sorry, not much help. In any case, good luck in your quest! today, Amazon has a free Kindle book called Steamdrunk! It's all victorian recipes for drinks/meals. Just a little side note, but Cinci was once known as "Porkopolis". I kid you not - it was the pork-packing capital of at least the US at the time. It was also known as the "Queen City" at the same time because it was so beautiful and such a cultural center for being west of the Mississippi/Ohio. 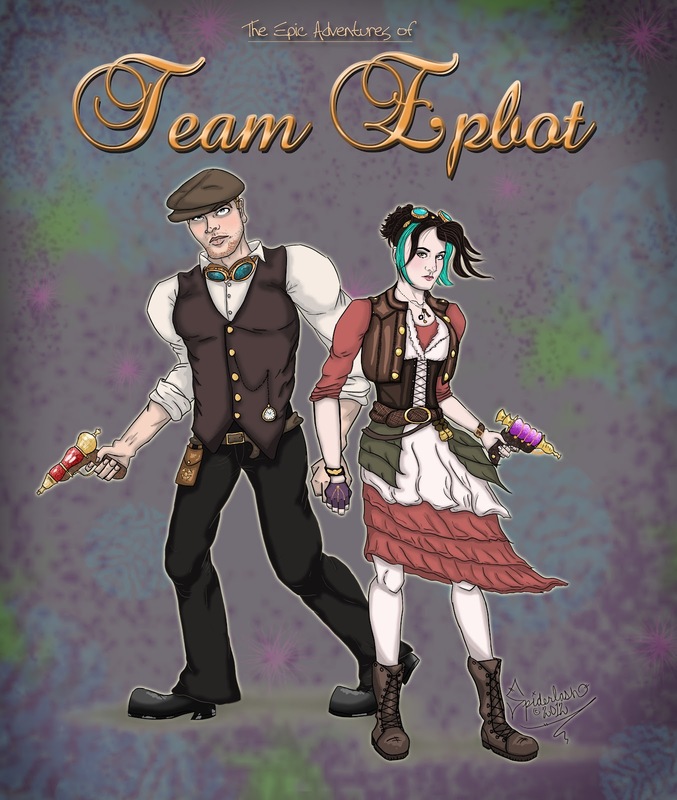 I wonder how many people are going to Pin the 'Team Epbot' pic? This oughta be fun. You can find versions of that assembly under old piano stools and some old office chairs. My local salvage store had those tables in wooden top version for $200. If you have a salvage shop, I highly suggest you check there. Mine has tons of steampunk stuff lately. We have a boat trailer crank jack that goes up and down similar to that table. One boat just has a jack that folds up but the other has the actual crank up and down. Maybe you can try looking into something like that for a DIY table!! Its not quite the same, but there is a similar table in a reclaimed wood/iron finish at Home Decorators. It seems to be on sale at the moment, but its still $479.00. I'm SO GLAD you got pictures of our amazing steamy pig that is currently display proudly downtown on Fountain Square in Cincinnati. Sadly, people have been stealing bits and pieces off of him. But he is still charming and has quickly become one of my favorite spots when heading down to a Reds game or family movie night on the square. I found a similar table at Home Decorators for $479 on sale! Augh, Steam Pig! I live in Cincinnati but haven't seen that one yet. I'll have to go visit him! 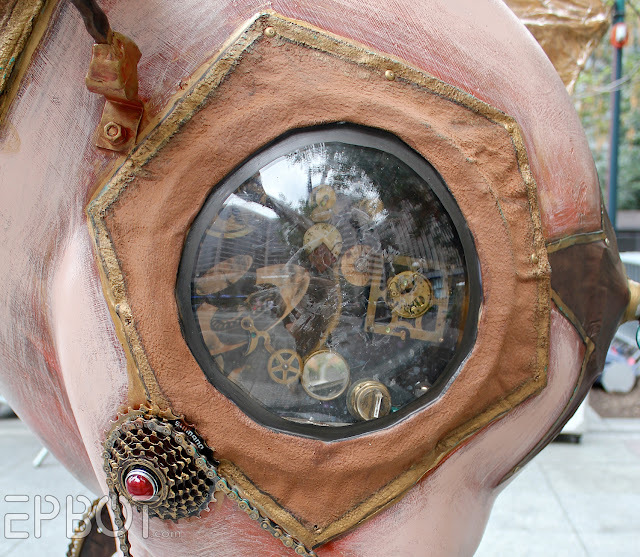 Not overly surprising, as there's a decent Steampunk community here, and this year they hosted the first Steampunk Symposium here. I'm pretty sure the Aeroglow necklace is based on the Flog logo. The Flog is Felicia Day's web show.